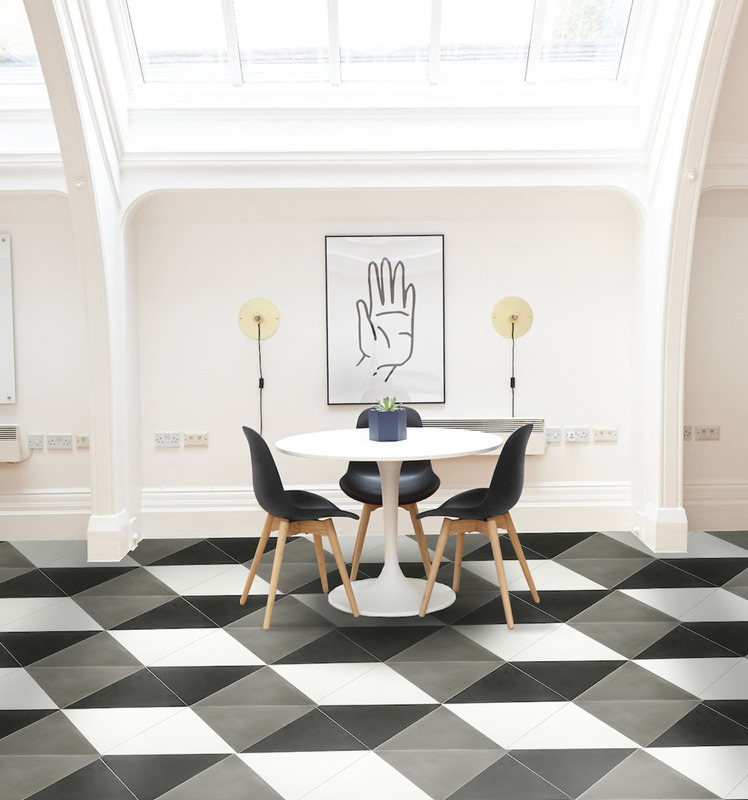 clé has introduced Shapes, a collection of seven cement tile designs in diamond, triangle, arabesque, rectangle, hexagon, and scallop configurations. Created in the traditional encaustic method, the hand-crafted tiles are available in fifty silky matte colors. By combining the tiles with contrasting shapes and grout, a dramatically patterned surface is created. The versatile tiles can be installed indoors and out, on floors and walls. The tiles are sized from 2″ x 8″ rectangles to 12″ triangles. Shapes cement tiles are available exclusively on clé. Deborah Osburn started the international artisan tile e-boutique in 2012. The tiles on clé are as distinct as the artists who create them. It is Osburn’s goal to provide a forum for discovery and conversation about what she loves most, tiles created by impassioned artists creating remarkable surfaces.